What happened at the Bar-Be-Que?? I read Ruby for a book club that I’m in and I was glad this title was chosen because it had been on my TBR list for a while. It was incredibly well-written, but man, the content was heavy. The fact that this title was a selection for Oprah’s Book Club 2.0 should clue you in to some of the subject matter. When I think of “Oprah picks” there are themes that tend to come up pretty regularly: issues of race, close female friendships, sexual assault/abuse, redemption (in some form). Ruby hits all those points (and yes, I know Oprah’s book club selections vary in content, but if you think about Oprah and what she consistently praises/highlights in literature, this hits the sweet spot). The epic, unforgettable story of a man determined to protect the woman he loves from the town desperate to destroy her—this beautiful and devastating debut heralds the arrival of a major new voice in fiction. Ephram Jennings has never forgotten the beautiful girl with the long braids running through the piney woods of Liberty, their small East Texas town. Young Ruby, “the kind of pretty it hurt to look at,” has suffered beyond imagining, so as soon as she can, she flees suffocating Liberty for the bright pull of 1950s New York. Ruby quickly winds her way into the ripe center of the city–the darkened piano bars and hidden alleyways of the Village–all the while hoping for a glimpse of the red hair and green eyes of her mother. When a telegram from her cousin forces her to return home, thirty-year-old Ruby Bell finds herself reliving the devastating violence of her girlhood. With the terrifying realization that she might not be strong enough to fight her way back out again, Ruby struggles to survive her memories of the town’s dark past. Meanwhile, Ephram must choose between loyalty to the sister who raised him and the chance for a life with the woman he has loved since he was a boy. Full of life, exquisitely written, and suffused with the pastoral beauty of the rural South, Ruby is a transcendent novel of passion and courage. This wondrous page-turner rushes through the red dust and gossip of Main Street, to the pit fire where men swill bootleg outside Bloom’s Juke, to Celia Jennings’s kitchen where a cake is being made, yolk by yolk, that Ephram will use to try to begin again with Ruby. 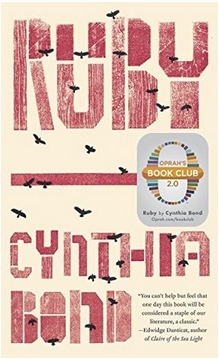 Utterly transfixing, with unforgettable characters, riveting suspense, and breathtaking, luminous prose, Ruby offers an unflinching portrait of man’s dark acts and the promise of the redemptive power of love. This is a book that will simultaneously keep you reading and wanting to put the book down and step away for a moment. A well-written and powerful book. 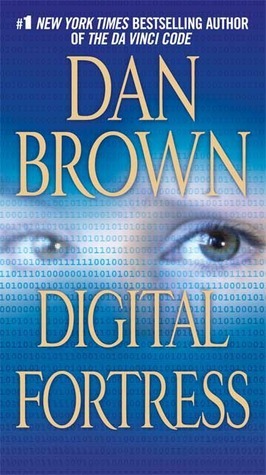 Digital Fortress by Dan Brown, author of The Da Vinci Code, is the tale of code-breaking and cybercrime. Susan Fletcher, the head cryptographer at the NSA, is unexpectedly called to work on a weekend. There is a threat to the NSA’s highly secret code-breaking machine called TRANSLTR. A former NSA employee has threatened to release a program that will make codes unbreakable and TRANSLTR obsolete unless the NSA tells the world about TRANSLTR. While the NSA is considering its options, the former employee dies and the kill code for the unbreakable code program is not among the employee’s belongings. Digital Fortress has an interesting premise. The story takes quite a few twists and turns. I enjoyed it until the last 30 or so pages. Brown tried to keep the suspense and solution going for a little too long. Overall, Digital Fortress is a thriller that keeps the reader’s attention.